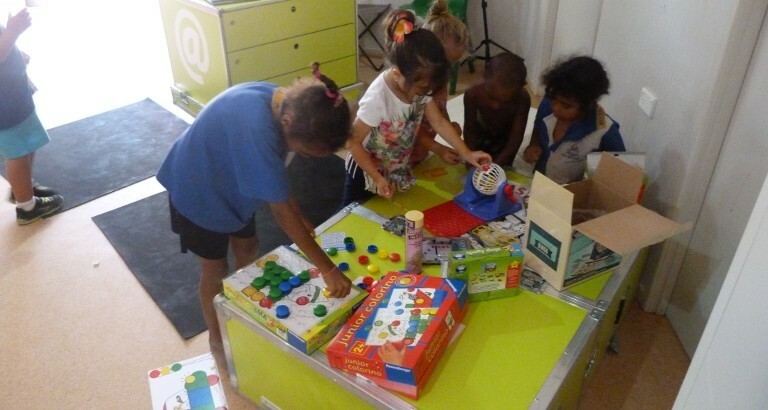 On July 23rd, 2015, Libraries Without Borders and the State Library of Queensland inaugurated the first Ideas Box in northern Queensland, Australia for the aboriginal community of Mapoon. This Ideas Box was also made possible by the support of Puma Energy Foundation and the Tim Fairfax Family Foundation. Originally created for humanitarian disaster situations, the Ideas Box is also an exciting access mechanism to culture, education, and news and information, notably for isolated populations around the world. Situated on the west coast of the Cape York Peninsula in the far north area of Queensland, the Mapoon aboriginal community heartily welcomed Australia’s first Ideas Box. Made in conjunction with the State Library of Queensland and the Aboriginal Council of Mapoon, this program gives 400 Mapoon children and adults access to high quality cultural and educational activities. In addition, it provides tools for creating customizable content in an effort to bolster community ties and to preserve their culture and collective memory. The rolling out of this program is the first part of a long-term effort, in partnership with the Australian government, to be extended throughout Western Australia starting in 2016.